2. But OH NO you're the palest person alive. 3. 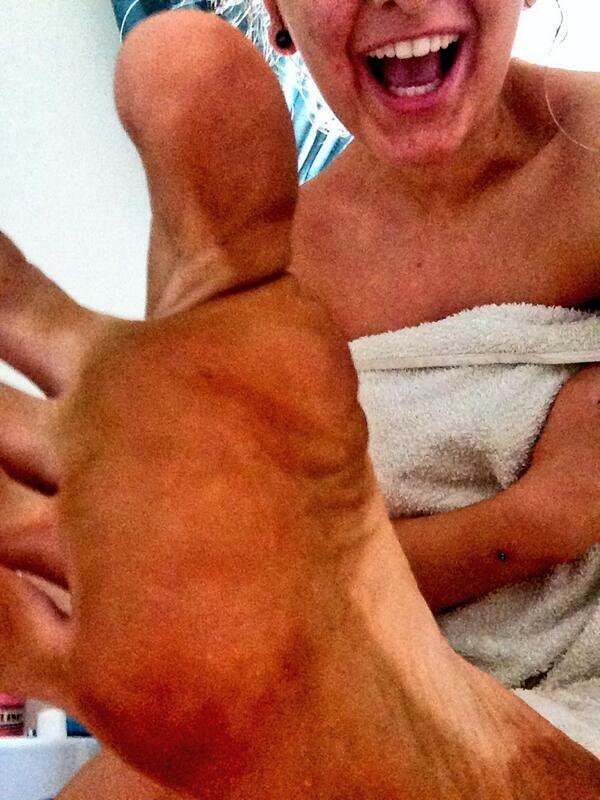 DON'T WORRY, there is a solution and its name is fake tan. 4. By the end of this process, you'll look like beautiful, tanned Marissa. 5. Not silly, tanned Ross. 7. Either, you head to the salon to get it done professionally. Which will be cold and slightly uncomfortable, but probably your safest bet. 8. Or you'll gather the equipment to do it yourself. And your options are endless. There's gradual tanning moisturiser, tanning gel, self-spray tan and tanning wipes. 9. If you're doing it yourself, you shouldn't forget your tanning mitten. 10. And you must remember to exfoliate. 11. Once you've applied the tan, you go to bed and fall asleep, dreaming of a less pasty life. 12. The first thing you notice in the morning are your bedsheets. Your stained bedsheets. 13. The second thing you notice is the smell of your own body. You smell like biscuits and cat piss. 14. You look down at your legs. They're streaky. 15. You look up at your hands. They're orange. 16. You take a look in the mirror. You've been tangoed. 17. You've got patchy limbs. 18. You appear to have forgotten that the bits in between your fingers exist. 19. And as for your toes. Oh. My. God. 20. No one can see you naked because of your superbly unnatural tan lines. 21. You reach out to a friend, looking for support. But no one wants to stand near you because you smell too bad. 22. At this point, you have a little cry. This does not aid your cause. 23. You try to wash the tan off. It looks like you've developed a rare skin condition. 24. But do you learn? NO. You try an alternative method. 25. Never stop believing, tanners. 26. One day, you'll achieve the dream. 27. And, until then, you'll keep trying <3.